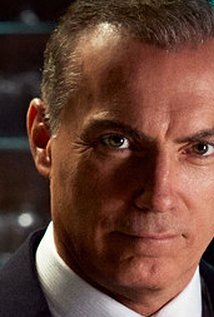 Atlantic City, NJ, March 4, 2016 – The Garden State Film Festival (GSFF) is proud to feature and celebrate Italian Americans working in the film industry and are honoring Al Sapienza as their 2016 MVP along with this year’s Rising Star recipient and the festival’s Executive Director. Best known as Mikey Palmice from The Soprano’s, Sapienza is a long-time friend of GSFF and has held countless roles on stage, film and television. Sapienza is of Italian American descent and secured his first major role on stage in the Broadway musical Battlemania, just months after graduating from NYU. 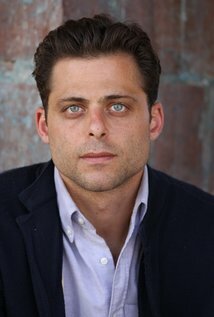 Sapienza’s recent credits include the Emmy® Award-winning television series House of Cards, Academy Award-winning film The Big Short and Taken 3. GSFF celebrates other Italian Americans including recently announced 2016 Rising Star, Joseph Russo (Jersey Boys) and the festival’s newly appointed Executive Director, Margaret Fontana. Fontana is a first generation Italian American and the proud founder of “The Italian American Girl,” a digital platform with a primary focus on shining a spotlight on the achievements of the Italian American community. The Garden State Film Festival’s weekend long event includes film screenings, Thursday Meet the Filmmakers event, Friday Gala, after parties, panel discussions, Q&A sessions, an open casting call and a black-tie awards ceremony are offered to festival attendees. All events are open to the public. Weekend passes are $45 and provide access to all events (except the Black Tie Awards Dinner.) Individual screening tickets are $12. All can be purchased at www.gsff.org where complete schedule information can be found. This year the festival will feature 214 films from over 17 countries, host an open talent casting call, hold engaging panel discussions, opening and closing ceremonies and inspire the next generation of filmmakers. Ed Asner will return for his fourth GSFF and other well-known celebrities are slated to attend. The Garden State Film Festival was envisioned by 25-year film industry veteran Diane Raver and the late Hollywood actor Robert Pastorelli in 2002 and launched the following year. Since 2003, thousands of films have made their public premiers, hundreds of thousands of people from around the world have attended; and the total infusion of cash to local businesses since inception exceeds $5 million. Until 2013, it was held in Asbury Park, in and around the Convention Center complex. In 2014, it moved to Atlantic City with financial and operation support from the Casino Reinvestment Development Authority (CRDA). GSFF now serves as a major component of the strategic plan to promote arts and culture in Atlantic City to re-establish the resort as the Mid-Atl. The GSFF is a 501-c-3 non-profit organization.